From: ' The Theatre of the Empire of Great Britain'. Published by Henry Overton, c.1710. 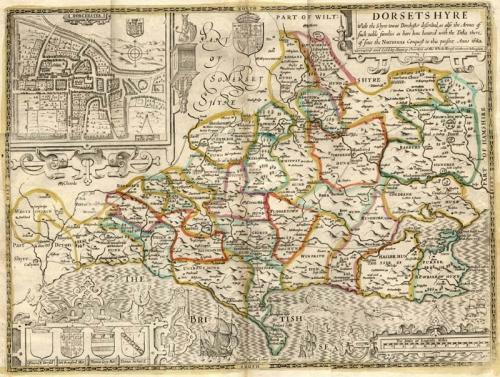 A map of Dorsetshire that is hand coloured in outline and with a strapwork title cartouche and an inset plan of Dorchester.